The Primrose at the Destin History & Fishing Museum: Working Vessel of Captain John W. Melvin, A Wonderful Slice of Local Lore - The History that Built the World's Luckiest Fishing Village. Tigger Travels - Family Adventure Journal Photos From Tigger`s Travels and MORE! Working Vessel of Captain John W. Melvin, A Wonderful Slice of Local Lore - The History that Built the World's Luckiest Fishing Village. 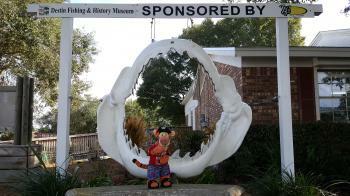 One of the best ways to discover the treasures in Destin, Florida is a visit to the Destin History & Fishing Museum. Like many historic locations throughout the world, the story that built this town are as entertaining as a great movie. This one location will increase anyone's appreciation for this gem on the Emerald Coast! 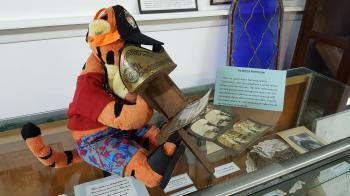 Tigger spent some time there discovering every nook and cranny is packed full of stories and examples of what has happened throughout the past beginning with the Indians centuries ago all the way to modern events! One area that really shows what life was like is located in the back room behind the wall of fish. 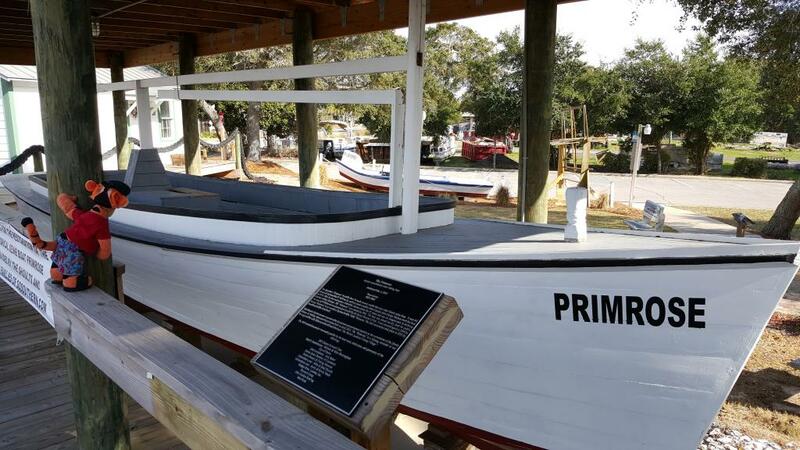 The Primrose is Destin's oldest seine boat which represents a method of fishing that was the lively hood of Captain John W. Melvin for over four decades. The boat can be seen out in front of the museum lovingly restored (again and again) and preserved to illustrate what life was like in Destin throughout the middle of the 20th century. 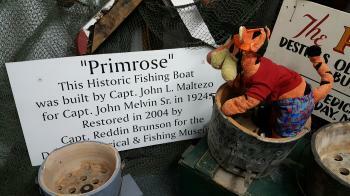 This helps to teach how the Primrose was such an integral part in developing the rich fishing heritage of Destin. The displays in the back room show not only the tools used but also include common household items from the homes of those that lived there during that time. You can even try out the stereoscope which was the most common version of 3D effects used at the time. Look through the photos, read the stories. Plan to spent time soaking up the city's rich past!